The ALPHA SHAMPOO & CONDITIONER with Botanical extracts cleanses hair without damaging it. It purifies and cleanses scalp (Rosemary essential oil) – leaves hair shiny and radiant. Infused with antioxidant-rich (Marula oil) – works deeply to hydrate and protect hair from internal and external damage. 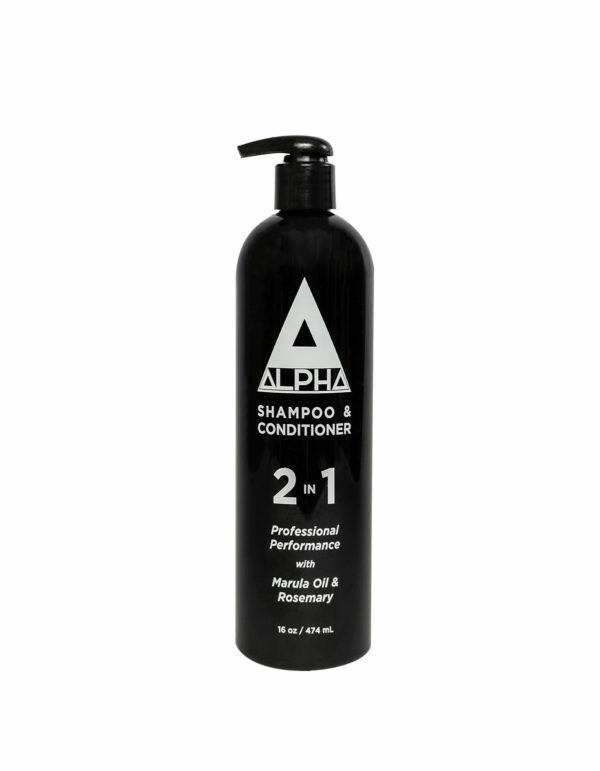 DIRECTIONS: Apply small amount of Alpha 2in1 Shampoo/Conditioner to wet hair, gently massage scalp and hair to stimulate. Always work from roots to hair tips. Rinse thoroughly.